Makrowin Aluminum-Clad windows and doors offer the elegance of wood on the interior, for a warm rich interior feel, while also providing the uncompromising durability of aluminum on the exterior. With five cladding designs, this product can meet the needs of your project. 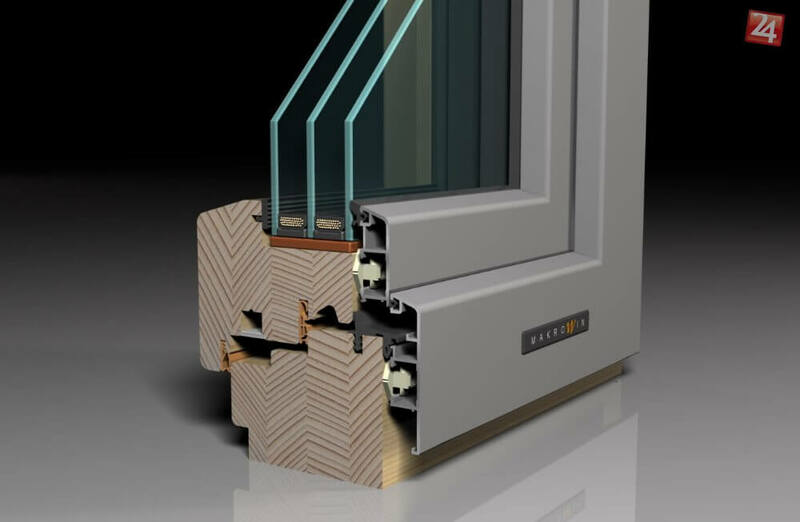 For customers who desire the rich warm texture of wood on the inside and the durability of aluminum on the outside, these outstanding windows and doors offer uncompromising performance and beautiful styling. Finishes available for the interior wood in a great variety of stains.